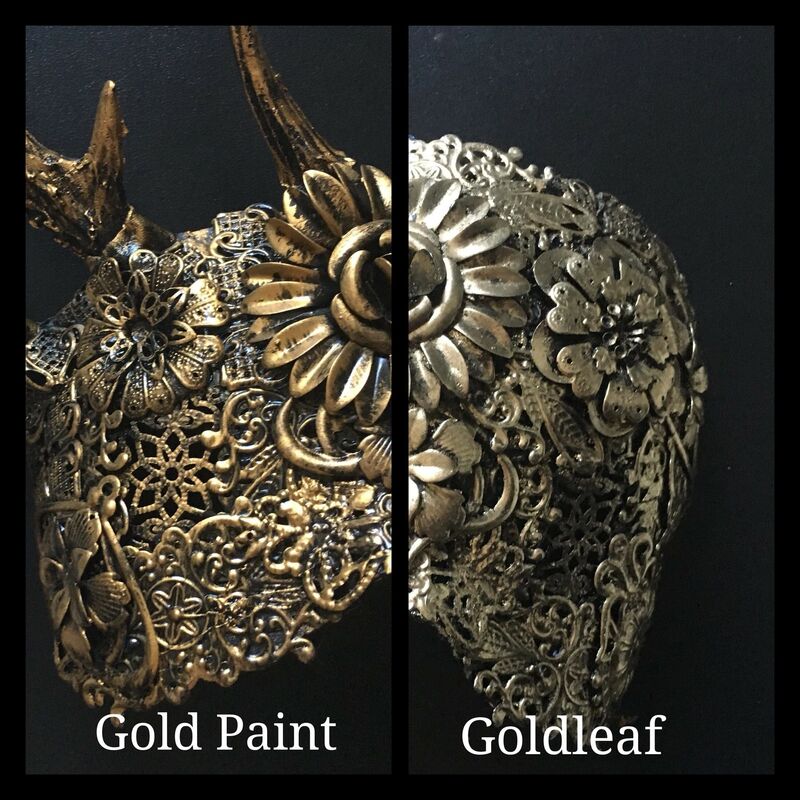 This beautiful mask is made using metalwork and finished with a lush gilt varnish in either silver or gold. 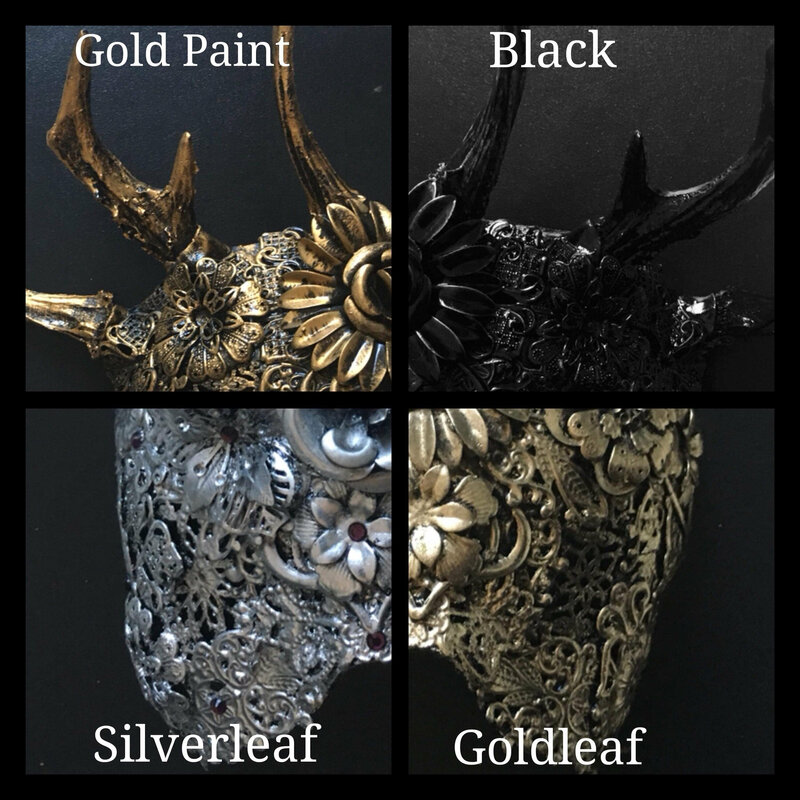 We can also finish this mask with silver / gold leaf. 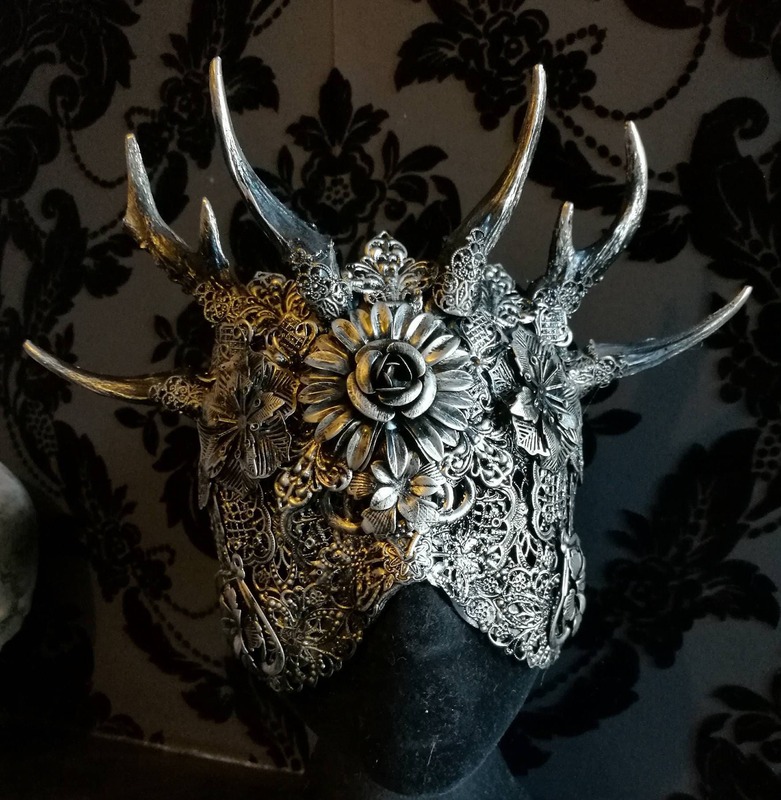 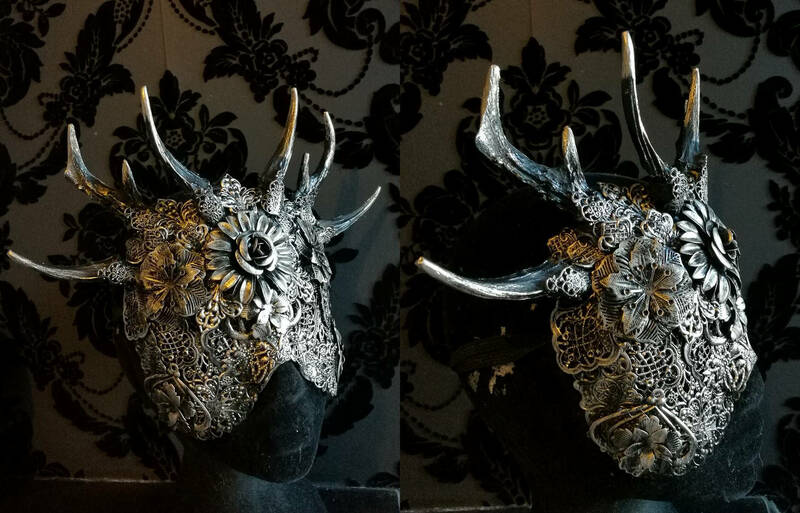 Mask pictured is finished with silver paint.